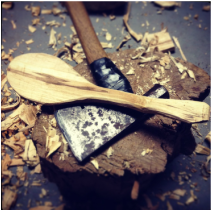 Another aspect of Driftwood Mountain is the hand crafting and carving of kitchen utensils. 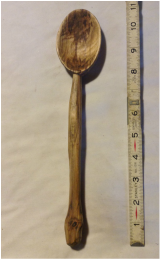 Erich follows a Swedish technique of shaping and carving spoons and spatulas. 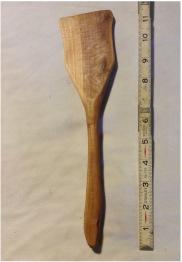 Each spatula and spoon is shaped out of a branch using a hatchet. 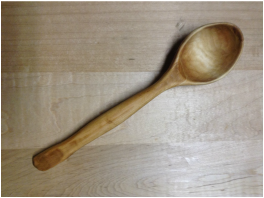 When the rough shape is formed, he then uses a knife to create the body and a hook knife (or a gouge) to make the bowl of the spoon. 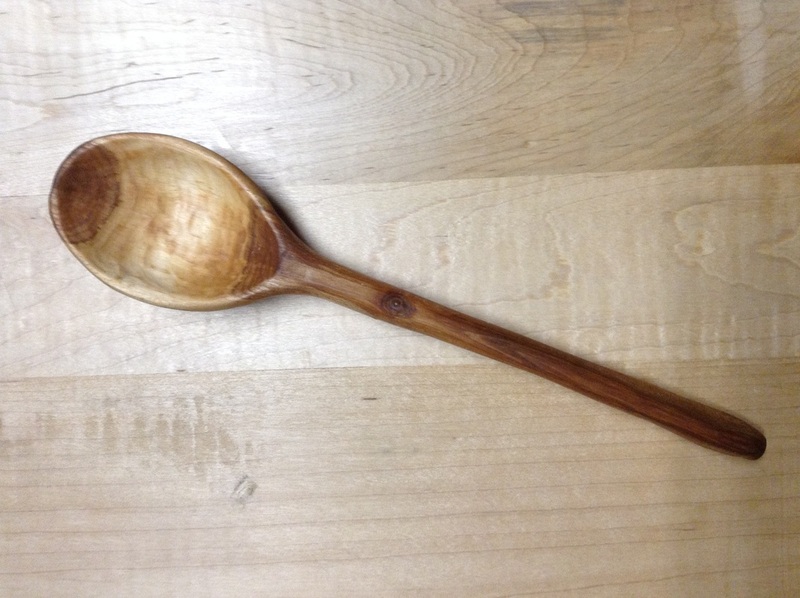 Once the spatula or spoon is formed, scraping and sanding is required, followed by multiple coats of linseed oil. 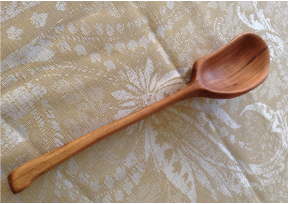 Only hand wash these utensils and apply vegetable, or mineral oil as needed. 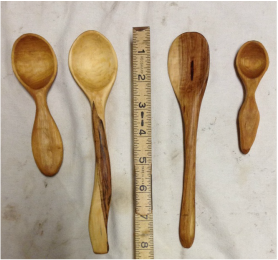 Here are some examples of his work. Each one being different from the last, you can see that they are truly one-of-a-kind. 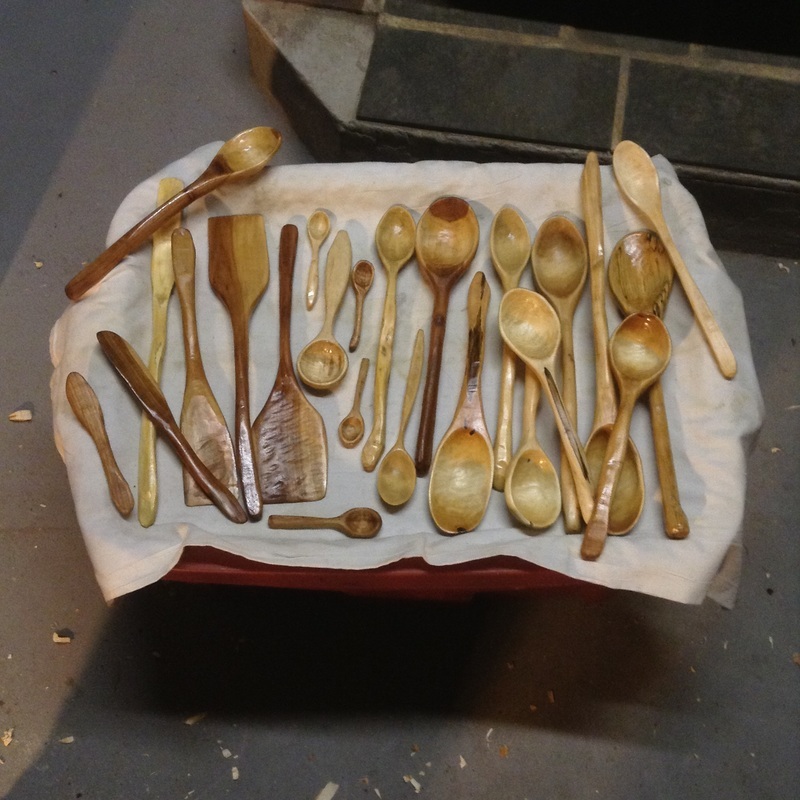 Here is an array of utensils recently oiled. 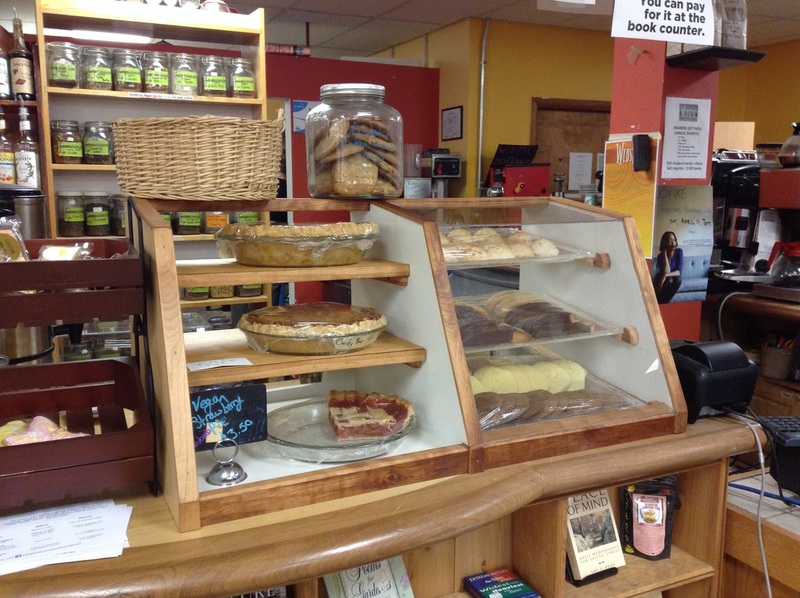 For an example of other wooden creations here is a pie case built for a coffee shop.